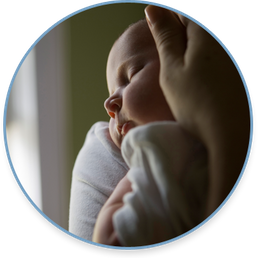 North Shore Midwifery Services in Rocky Point, NY provides complete care for birth at home, lactation support, and comprehensive gynecology services... all with the peace of mind that comes from shared decision making and a close working relationship with your providers. North Shore Midwifery is owned and operated by Janet L. Titmus-Delettera CNM, who has served Long Island families with her specialized care for more than 30 years. Janet began her lifelong career in helping mothers, fathers, babies, and families after the birth of her own three children. Starting out as a childbirth educator, continuing to support women as a professional labor support partner (what we now call a doula), Janet went on to assist other homebirth midwives until completing her own midwifery certification at Downstate University, SUNY Brooklyn, in 1991. In the years since, she has combined multiple midwifery functions to achieve a high level of scope and experience. From inner city midwifery department director to office gynecology, family planning and lactation consultation, Janet brings not only her extensive learning, but her heart to all her clients. Birth at home...a personal relationship with clients and the community, care with respect and shared decision making...has always been at the center of Janets' professional life. Gayle Eckey, CPM, grew up on a farm in rural Maine, moving to the east end of Long Island in 1998. As with so many birth professionals, her first childs entry into the world at a Long Island hospital was a wakeup call about the state of birth services, and began her journey. Her next two births, at home, with one unassisted, were instrumental in solidifying her belief in women, families, and birth. Gayle has devoted her life to health care in multiple ways...as a LMT and doula, among others...until this extensive learning culminated in her admission to and graduation from Birthwise School of Midwifery in Maine...just minutes from where she grew up. Her student experience evolved naturally into Gayle becoming a valued staff member and resource for the women in our care.